The experimental investigation of ultracold quantum matter makes it possible to study quantum mechanical phenomena that are otherwise inaccessible. 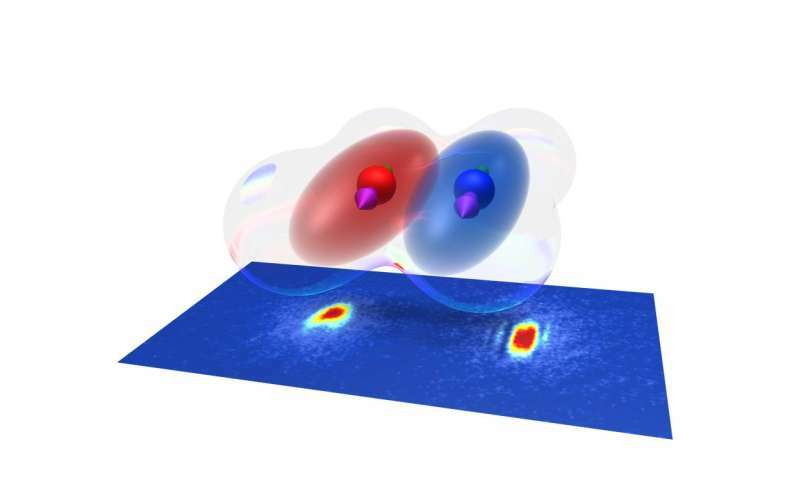 A team led by the Innsbruck physicist Francesca Ferlaino has now mixed quantum gases of two strongly magnetic elements, erbium and dysprosium, and created a dipolar quantum mixture. A few years ago, it seemed unfeasible to extend the techniques of atom manipulation and deep cooling in the ultracold regime to many-valence-electron atomic species. The reason is the increasing complexity in the atomic spectrum and the unknown scattering properties. However, a team of researchers, led by Ben Lev at Stanford University and an Austrian team directed by Francesca Ferlaino at the University of Innsbruck demonstrated quantum degeneracy of rare-earth species. Ferlaino's group focused the research on erbium and developed a powerful, yet surprisingly simple approach to produce a Bose-Einstein condensate. "We have shown how the complexity of atomic physics can open up new possibilities," says Ferlaino. Magnetic species are an ideal platform to create dipolar quantum matter, in which particles interact with each other via a long-range and orientation dependent interaction as little quantum magnets. In a new paper now published in the journal Physical Review Letters, the Austrian research team makes a new leap in the field of dipolar matter. They mixed erbium and dysprosium, and for the first time, produced a dipolar quantum mixture. "We studied very carefully the atomic spectra of these two species and made plans on how to combine them and reach simultaneous quantum degeneracy," says Philipp Ilzhöfer, one of the two leading authors of the paper. "And our scheme worked out even better than expected, allowing us to create a system in which Bose-Einstein condensates of erbium and dysprosium coexist and interact with each other," adds Arno Trautmann, the other leading author. This advance promises to open novel research frontiers in the field of dipolar quantum matter because of the long-range interaction among the two species.